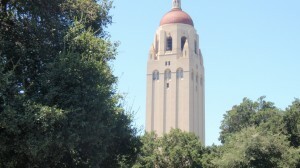 We are so fortunate to have Stanford University in our backyard. I grew up going to every Stanford Football and Basketball game with my parents and brother. It was always fun, surrounded by lots of friends and fans at Stanford’s amazing facilities. I’m proud to say that my husband and I have continued the tradition with our daughter. With 36 different sports at Stanford, you’re bound to find a sport to cheer for. There is always something to do on campus! And, if you haven’t been to the new Arts District on campus or visited the Anderson Collection, I highly recommend it. The Andersons are a local family with one of the world’s most renowned contemporary art collections. They donated over 120 pieces to Stanford this past year and it’s real must see.